This handy garage hanging bicycle rack will store up to four bicycles. 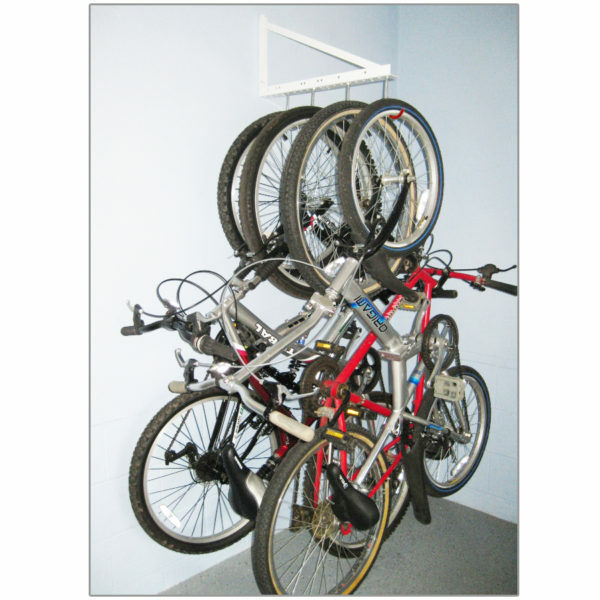 Our bicycle hangers conveniently hang bikes vertically, on sturdy hooks that have a protective vinyl coating, shielding your front rim from scratches. 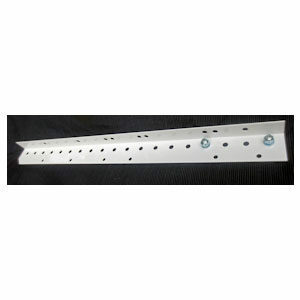 All hardware shown in picture is included in the price. 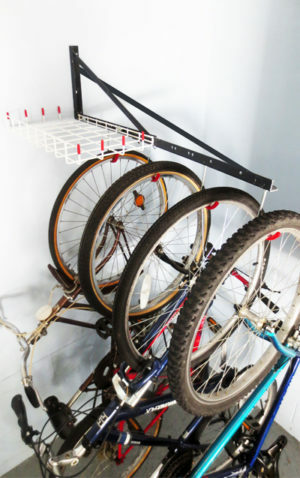 Bike storage can take up a significant amount of valuable floor space, that’s what inspired TidyGarage to design and engineer, this unique bicycle storage rack. 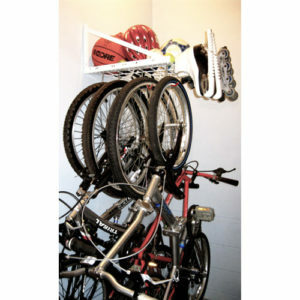 Our Garage Hanging Bicycle Rack Bracket is designed to hang and suspend bicycles vertically, using the front rim of the bike for support. 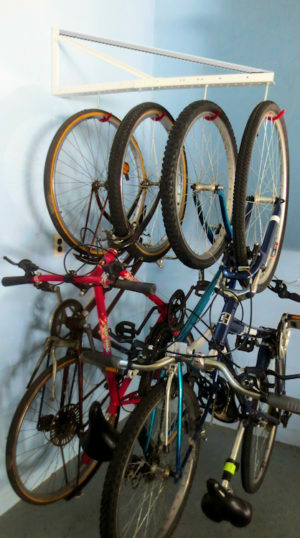 The Bill of Material is a list that contains everything you will receive, with the purchase of our Garage Hanging Bicycle Rack.